This movie is simply a must watch. It’s about a group of explorers delving into a previously uncharted cave system – complete with rivers and subterranean lakes. When a tropical storm rolls in, it floods the upper tunnels and they’re forced to find another way out. Yes. In a system that no one has explored. They portrayed that tenuous strand of humanity well – that one that’s so easily snapped when people are put in a crisis. It brings to life the grit and harsh decisions people must make when forced into a survival situation. 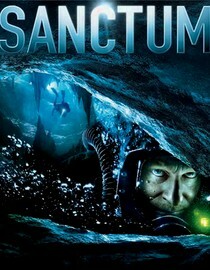 The underwater footage is fantastic, interesting shots and the terrain is varied more than the norm for films of this nature. The actors sank into their roles and brought the suspense and drama out even more.